What are we all thinking about this week? Not only will you have the pleasure of reading my rants, I will also me reviewing recent books and films. It has come to my attention that everyone and I mean EVERYONE has a twitter account, so obviously I had to have one.. only problem is that I don't have a clue how to use it! It absolutely fascinates me by just typing an '@' before a name you can them communicate with whoever you wish, whether it be Stephan Fry or Katie Price or even Barry up the road, everyone is connected and everyone is tweeting! I have to admit, even though I don't fully understand it, I find extremely addictive because it moves at such a rapid pace, you could be happily tweeting one minute and then you look back up at your screen and you see 10 new updates possibly even more! It makes me think, what was life like before Twitter, Facebook, Myspace (you see where I'm going with this) I was 15 years old when I created my Myspace account and the social networking phenomenon began there for me. Myspace evolved slowly in Facebook, and even though Facebook is currently in its prime I can slowly feel myself being sucked into the twittering world of twitter. Show a bit of love for Karl! An idiot abroad is one of the funniest TV shows I've seen in a while! Karl Pilkington 'the empty headed baffoon' is being sent to one of the 7 wonders each week, to see how he'll fair with the culture of that perticular area. The brains behind this histerical operation is none other than Ricky Gervais and Stephan Merchant. Poor old Karl, he's been sent to China to walk the wall and experience eating toads, then he was sent to India to see the Taj Mahal and all the wonders around it, then they want him to go to Jordan where he gets up to all kinds of antics including swimming in the dead sea with a wise old man, and also has to eat lambs eyeballs and testicles which Ricky and Stephan kindly arranged for him. He then went to Mexico which he states is his favourite so far, and likes the more relaxed attitude they have there nevertheless he has to meet real life cowboys, which is one of the funniest things I think i've seen, when he cries out that he just wants to go home as he is partaking in a 'rodeo' style activity. On last thursdays episode he went to see the pyramids in Egypt which is again very funny the way he explores the different cultures and his constant confusion about why people just don't do things more simply. Ricky Gervais claims that this is the funniest TV show he's ever been involved in and absolutley loves Karl for just being Karl, saying things how he sees them no matter how stupid or ridiculous it may sound. It's well worth a watch, and sadly the series is ending soon so if you haven't been watching it the entire time then you must must must buy the series on dvd or you WILL regret it! An Idiot Abroad is on Sky 1 at 9pm on thursdays! Everyone has gone X factor bonkers!!! It's nearly christmas and that can only mean the return of one thing, and I don't mean this in a nostalgic sense no excitement for putting up the christmas tree or listening to you're Grandad's never ending stories, No christmas seems to have lost all meaning in the last few years because this time of year has become the host of one of the nations most if not the nations favourite programme, Yes you've guessed it, the X Factor. s performances. We also said goodbye to "Diva Fever" the very camp, fashion victims..but I have to admit I did have a little soft spot for them and loved their rendition of 'Barbra Streisand". Cheryl is wowing the crowd as usual, how is it possible that she gets more and more beautiful every year? But it has to be said Danni is catching up on the fashion front, Danni has not failed to impress on any of the live shows! 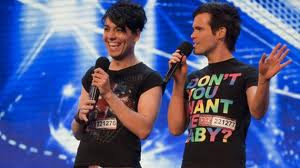 Simon and Louis have been up to thier usual tricks, bickering at every single opportunity! I don't get it? Do they get on or not? Because year after year Louis still has his place firmly on the judging panel, yet all he seems to do is make snide, bitchy comments and give his acts rubbish songs to sing, and poor old Wagner this year doesn't even know the songs that Louis gives him. The hunky bazillian is having a tough time, he wants to be taken seriously and wants Louis to give him powerful, operatic songs, but instead he is given 'She Bangs' by Ricky Martin... are they setting Wagner up to fail?.. I think so! He may look slightly crazy, but good on him for getting this far! 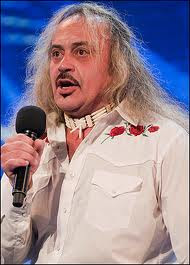 I would love it if Wagner won, and brought out a really silly christmas song, would show Simon that year after year he can't keep taking over at christmas! I wonder when the next actually decent song (which isn't part of a reality TV show) will get christmas number 1. I know rage against the machine got number 1 last year but that was only because of a petition against X factor, It would be brilliant if a talented artist just wrote a really good song and it beat X factor this year! I've just been reading the presenter Kristian Digby was found dead in his apartment yesterday. BBC presenter of 'To buy or not to buy' a daytime television show, suspectedly died whilst performing a solo sexual game, which went sadly wrong. He was starving oxygen to his brain, for a 'sexual thrill' which ultimately ended in him suffocating. Kristian is at the end of a worryingly long line of young celebrities that have died recently due to avoidable events. It's such a shame that he just took it that bit too far, as the case is not being treated as suicide. He was said to be a very "lovely fun, nice, jolly, decent person." Stars that go before him recently include, Michael Jackson, Patrick Swayze, Stephan Gately, Heath Ledger, Alexander McQueen, Britney Murphy and many more. It's strange to think in the next 5 years who will die? I know this sounds very macabre, but it's a real issue at the moment, and most or all of these deaths were not natural deaths. What I'm trying to say is that, if 3 years ago someone told me that Michael Jackson would be dead in the next 3 years, i probably would of laughed because he was such an icon, not matter what allegations were said, or what some people thought of him, he was one of the greatest musicians and performers to ever grace this planet and he deserves praise for his work. Patrick Swayze, well all i can say is, 'Nobody puts baby in the corner' possibly one of the best films ever made, and he has a lot to do with that! As for Stephan Gately's tragic death, i was devastated when i heard. Growing up with Spice Girls and Boyzone dominating your childhood, it's only natural to mourn your favourite boyband member. I was watching a documentary about him recently and he seemed like the nicest man, so kind and caring. Everyone in the documentary was obviously so inspired by him, and he will obviously be sadly missed. I know Heath Ledger died a few years ago, but every time his iconic 'Joker' character appears on screen, he is very much alive. I think Ledger's portrayal of the 'Joker' was one of the best villians in the history of film. Watching the 'Imaginarium of Doctor Parnassus' Ledger's last ever film, was just amazing. The storyline wasn't fantastic, but in a way it didn't seem to matter, as the film slowly became a type of tribute to Heath, as he plays the main character, and obviously he couldn't finish the film so Johnny Depp, Jude Law, Colin Farrell got involved in the later part of the film, and they truly do Ledger justice. RIP you will all be missed. I settled down on thursday evening at 10.30 and watched the new series of Russel Howard's Good News, and I must say it was brilliant! As an avid Russel Howard fan, I love all his work and think he's definitely one the best British comedians at the moment. I love his delivery and the fact that he's from Bristol, you've got to love that accent! From watching him as quite a young, scruffy guy on mock the week its amazing to see how much better and confident he is now! Keep up the giggles Russel! We all seem to be going 'Cheryl Crazy' which normally i would protest, but in light of her husband's extra curricular activities....I would say a great deal of girl power is needed and 'Parachute' isn't a bad tune either! Go Cheryl!! ON THE NAUGHTY STEP THIS WEEK.. Okay, okay so he's a decent footballer, big deal.. he stills cheats on his wife with prostitutes and is possibly related to shrek, have we guessed who I'm talking about? Yep, Wayne Rooney! Okay he's had a tough few weeks, but it's his own fault and now he's umming and arring whether to stay at Man UTD, he's decided to stay now even though he publically said just a few days ago that he was leaving? Get a grip Rooney!